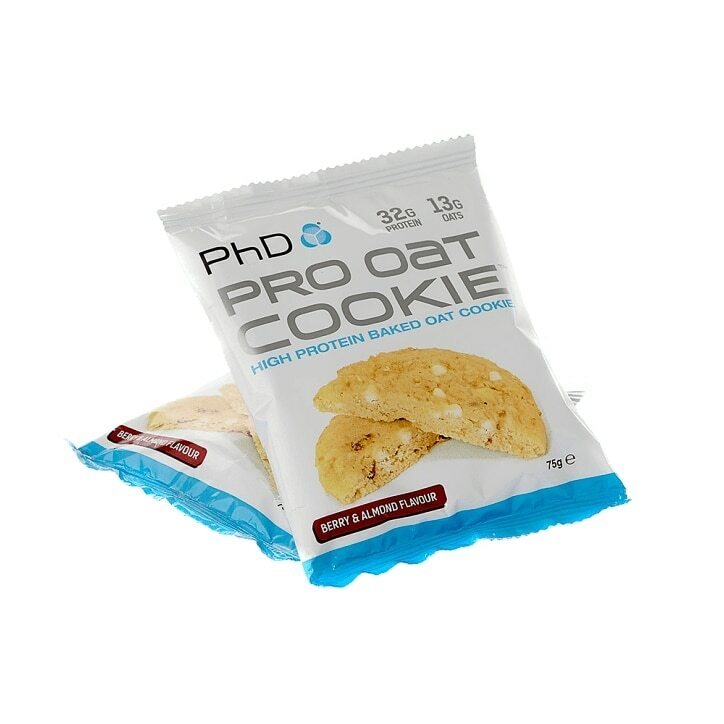 PhD Protein Oat Cookie Berry & Almond is rated 4.0 out of 5 by 2. Rated 4 out of 5 by Britt from Satisfying snack This big cookie tastes great and is very satisfying as a snack or a light meal replacement when you are on your feet all day. Rated 4 out of 5 by JumpingJack from Just love these... Great cookies and a good way to get your protein.